From the 10th to the 13th of December, a group of sixteen women representing various Gulf countries climbed the highest peak in Oman in a trekking event organized by Husaak Adventures and the Ministry of Tourism. 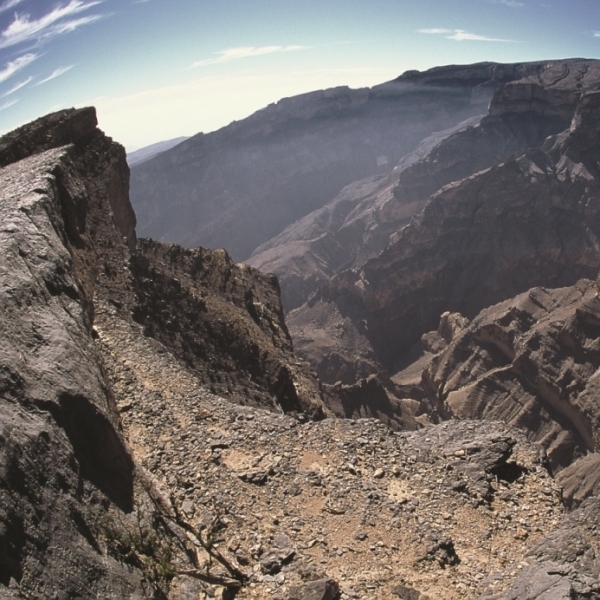 The expedition, which started from Muscat, led the young women up to the peak of Jebel Shams, also known as the ‘Sun Mountain’ due to the fact that it is the first place in the Arabian peninsula to see the sun rise. At a height of 3,075 meters above sea level, the women covered a total distance of 20km through the Western Hajar chain. The hiking expedition was carried out on a path that is considered to be one of the most popular hiking sites in the Sultanate, as it offers an impressive view on wadi an Nakhar, better known as the ‘Grand Canyon of Arabia’ for its majestic and breathtaking views.